Demand for cloud security services in today’s dynamic cyber security landscape, is growing at a rapid pace across the globe. Unlocking this huge new revenue opportunity for a telco or data centre operator is a challenging task. Telco and data centre operators have to engage multiple security vendors, source and integrate best-of-breed technologies with legacy IT systems and processes, deploy across a variety of telco, private or public cloud infrastructures, and, on top of all that, design and deliver the right service offerings for their business customers. 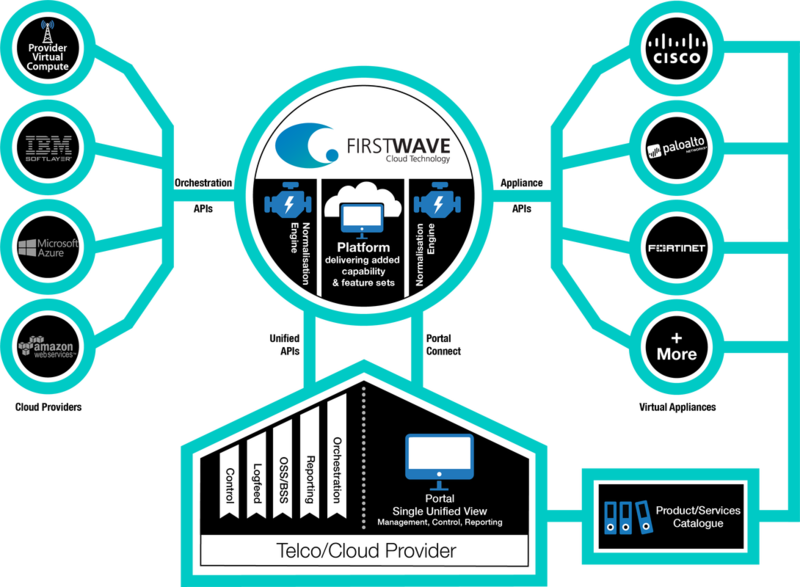 But now there is a solution from FirstWave Cloud Technology that addresses these significant challenges: the FirstWave Cloud Content Security Gateway, developed for and proven in operation by one of the world’s leading telcos is now available for deployment globally. With its sophisticated management and orchestration engine, this very scalable telco-grade platform that unlocks innovative, differentiated cloud security gateway solutions, and delivers them as ‘Your Telco’ branded cloud security services for your business, enterprise and government customers. The platform, first and foremost, delivers operational efficiency to a telco and data centre, who are able to deliver a variety of security and other cloud based solutions as a service. It takes solutions from a variety of premium vendors, normalises their interface and management, and automates the multi-tenanted orchestration of these services for delivery in multiple cloud environments, whilst providing management and reporting through a single pane of glass. It is a scalable, vendor-neutral, telco-grade, cloud-managed and fully supported solution that accelerates service deployment, increases security and governance. The FirstWave CCSG platform puts management and control of cloud security back in your hands so you can provide a holistic approach to the complex cloud security needs of your customers.